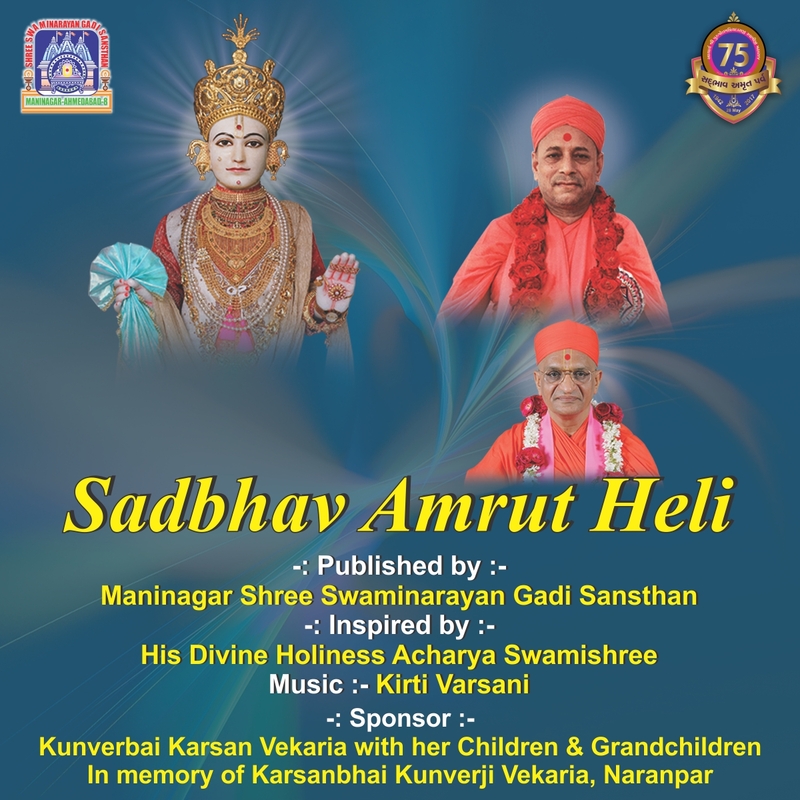 Sadbhav Amrut Heli is a special compilation of devotional songs produced for the Sadbhav Amrut Parva celebrations to mark Acharya Swamishree Maharaj’s 75th year. The CD was published on 28th May 2017 – the auspicious day on which Acharya Swamishree Maharaj manifested. The music direction has been given by Shri Kirtibhai Varsani, with many of the kirtans on the CD especially written for this Mahotsav by Sadguru Shastri Shree Sarveshwardasji Swami.